A new study out of the University of Calgary has discovered that we make judgements about others based on how their names sound. If your first name is Molly or Leo, then you're easy-going. But if you happen to be a Kirk or a Kate, then you're the opposite — more of a Type A. That's according to a new study out of the University of Calgary published in PLOS ONE, which reveals that we make judgements about people's personalities based on how "round" or "sharp" their name sounds. The research expands on the bouba/kiki effect, a well-known finding in the world of psychology that suggests humans associate certain language sounds with certain shapes. "The non-word bouba — people seem to think that goes along better with round shapes. But the non-word kiki, for example, people seem to think that goes along better with sharp shapes," said David Sidhu, the University of Calgary phychology PhD student who led the research. But Sidhu took this popular theory a step further, testing for the first time if people link certain shapes and personality traits with real first names. In the first test, Sidhu presented test subjects with two popular baby names and a pair of silhouettes — one that was round and blobby and one that was sharp and pointy. The pictures were not even of real people, but of cartoon aliens that Sidhu found online. He told participants to imagine that the extraterrestrials were new to earth, and needed appropriate names. "We found that, even with first names, people associate names like Bob with the round silhouettes and names like Kirk with the sharp silhouettes," said Sidhu, who adds that gender also played a role. 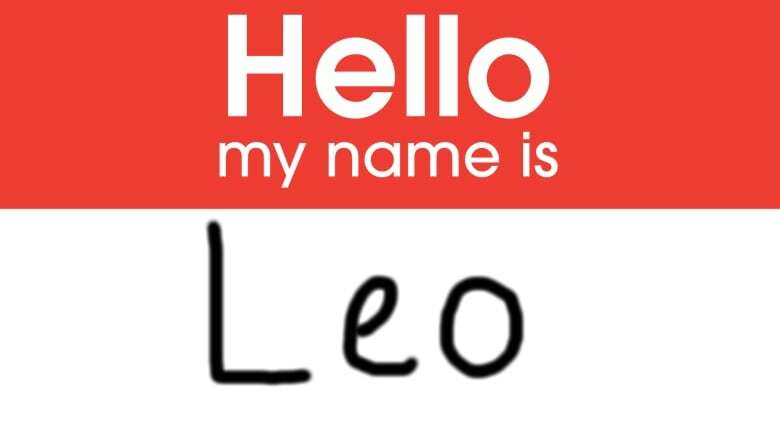 He says people often matched female names with the round silhouettes and male names with the more sharp and jagged profiles. "We wanted to go a little bit further and see if people will associate different personality traits with different names," said Sidhu. So he asked participants to list adjectives they thought best describe a "round and curvy" personality and a "sharp and spiky" personality. Then, Sidhu presented the most popular adjectives from each group, such as gentleness and sarcasm, to his test subjects and asked them to best match them to a list of 'round' and 'sharp' names. "So a name like Bob or Molly, for example, it's a bit smoother when you say it versus a name like Kirk or Kate, which kind of has this abruptness to it," he said. "People will match those kinds of qualities, like abruptness or smoothness, metaphorically with these traits like being easy going or maybe being rude." Emma and Liam once again most popular baby names in Sask.